Like or not, someday you will be 40. Living in your 40s isn't as bad as younger folks think. As much as I thought, back when I was a teenager, how ancient I would be when I reached 40 many millenniums into the future, you spend a lot of time in your 40s marveling over how young you still are. Unfortunately, you spend the other portion moping over how old you are. The reminders are everywhere. It's not only your own body -- which keeps breaking down in ever surprising new ways and requires constant attention the likes of which you had never dreamed -- but it's everything around you. From the TV shows, to the advertisements, to the clothes to the gadgets to the activities to the music to the attitudes and opinions on every issue available, all of it shouts: YOU'RE NOT YOUNG ANYMORE. It's almost hurtful. But us folks in our 40s have a way of coping with this. Boy do I ever get nostalgic. Half the time this blog is an ode to everything that I enjoyed in the 1970s and 1980s. And there are times when I slip into the very 40s habit of saying "(fill in the blank) was so much better when I was a kid." But I'm not nearly as desperate as some other people I know that are my age. All I have to do is hop onto Facebook to see that. Every day there is a post from someone flashing a picture of a toy from the '70s that says "LIKE if you remember this!!!!" Implicit in this exclamation is that the shown item could beat the piss out of whatever goofy gadget kids play with today. It's an easy trap to fall into for us 40-somethings. In fact, I did a very 40s thing when I saw this card that I received from Chris at Nachos Grande. He even helped me along with a note that said "The Nomo is a 1-per-box parallel of the regular 'The Big Show' inserts. 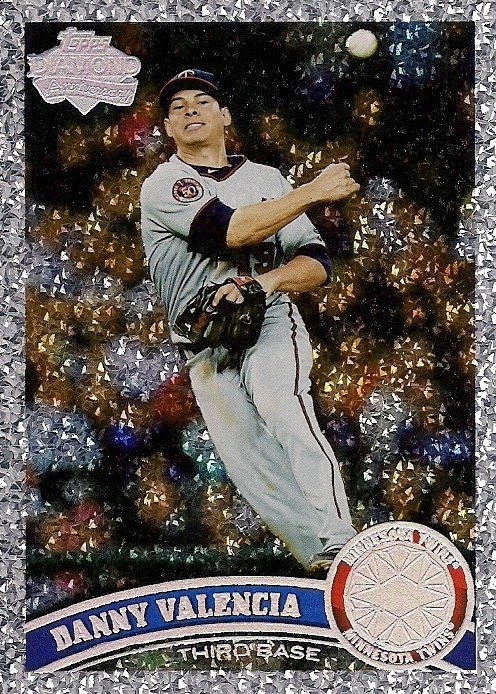 Parallels of inserts are stupid.'" I was all ready to go "COOL! A ONE-PER-BOX CARD! OF MY MAN NOMO! 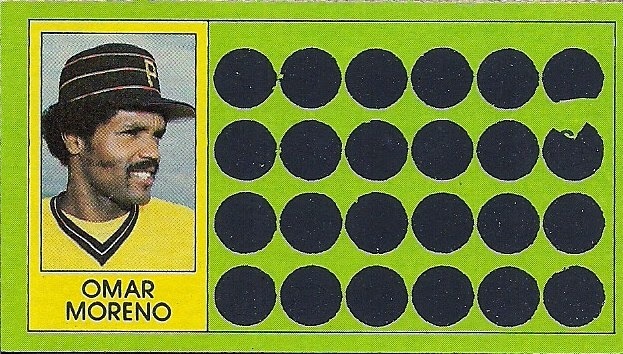 THAT'S AWES ..."
"Hey wait ... Parallels of inserts ARE stupid. All this is the same card with a STUPID STAMP on it! What the hell does 'World Headquarters' mean anyway? This thing IS stupid. Stupid stamp on stupid parallel. Why, back in my day, we didn't need parallels. Hell, we didn't even need inserts. We had subsets, and that was good enough for us. You know what? Sometimes we didn't even like the subsets. Because they interrupted the run of base cards in the set. Because all we wanted was the base cards. That's right, just the base cards. 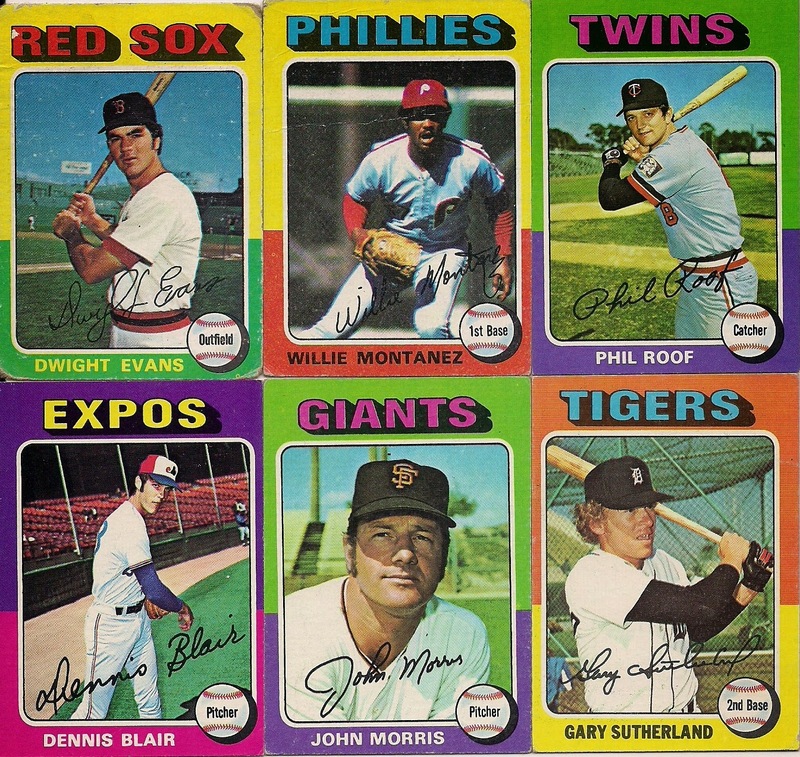 Base cards were cool in the 70s! You know what else was cool in the '70s? Long hair and mustaches. They RULED in the '70s! Every older dude -- who was COOL -- had long hair and a mustache. And you know what? Girls dug guys with long hair and mustaches. You couldn't GET the hot girl unless you had long hair and a mustache. But I can't grow a long hair and a mustache today because nobody likes them anymore, including a lot of the hot girls, one of which happens to be my wife. Even some of those Fisher Price people had mustaches. They were the coolest toy people ever -- man, it was so much cooler in the '70s." It is very easy to set someone in their 40s off. But I still wasn't done viewing this card and lamenting youth lost. To me -- in that very perturbed state -- this card represents exactly where everything went wrong. In 1997, Nomomania was in its final stages. 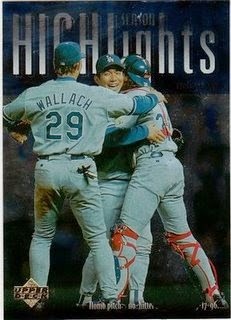 Never again -- with the exception of Ichiro Suzuki -- would a Japanese player be as much of a sensation as Hideo Nomo. 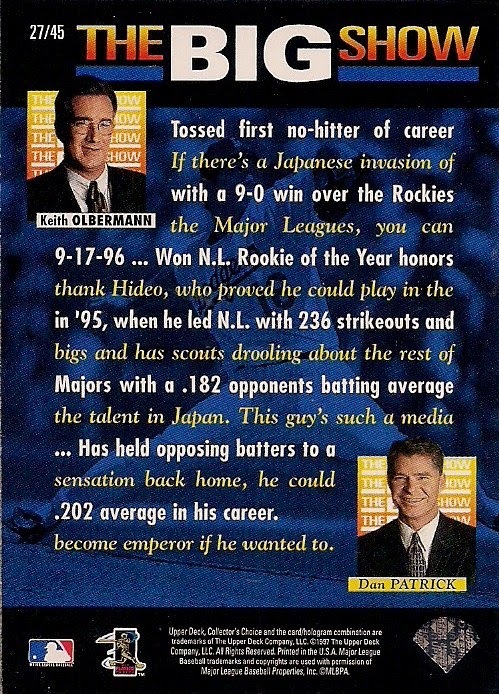 Also in 1997, Keith Olbermann left ESPN. The Keith and Dan SportsCenter show, which in the early '90s was the height of sharp, witty, informative sports broadcasting, disappeared and could never be reassembled, even though attempts were made. Olbermann and even Patrick to a certain extent would let their egos blow up and I can't look at either of them the way I did in 1997. This is also the time where I can point to the beginning of my dissatisfaction with ESPN, which has blossomed into me outright ignoring the network. And, of course, a parallel of an insert -- in its infancy in 1997 -- would morph into the disaster in collecting that we have today. But there I go again giving today's world my 40-year-old stink-eye. I admit I don't have a lot of interest in today's mojo collecting habits. I don't follow the NBA on ESPN. And my interest in the hottest rookie from the most exotic country only peaks when the player is wearing a Dodgers uniform. But I guess I'm not supposed to care about what the masses like anymore. Because I'm in my 40s. I was one of those kids who played with the farm house that when you opened the door, it made a mooing sound. It was the coolest toy ever. I just saw it on Facebook the other day. I've landed in the middle of another busy work period. I thought I'd be able to send out even more of those 2013 Opening Day cards at the end of this week, but it looks like that won't happen. Maybe it will ... we'll see how sick I get of the man. I don't like it when this happens. Just once I'd like to have the right side of my desk (the "outgoing packages" section) clear of cards. I always dream of a happy little scenario where I magically send out surprise packages to unsuspecting collectors, like that guy who drops a $1,000 out his window. "What time is it? Oh HO! Time to package some cards for random collector! He'll have no idea!!!!" But meanwhile, I should get to the contest that I announced last week before my job eats that, too. I was giving away some random items -- '70s cards, oddballs, a few key items from the last couple of years, too -- to say thanks for waiting as I slowly send out packages. The key item, according to some entrants, is the '71 Seaver you see here. Congratulations, Al Kawamoto! You will receive the Seaver, the '71 Sutton, the '75 minis, the '81 scratch-off Mazzilli, the 2012 and 2013 A&G shortprints, the 2013 megabox chrome cards, and whatever else I can scrape up. I know you like hockey, so I'll see what I have. Also, email me your address as I don't have it. And as a reward -- and once again, because I'm feeling a little guilty for sending out card packages once every two or three weeks -- I have yet another contest. This one is on even smaller of scale as the last one. So if I get only five people to enter, I won't be offended. Don't get too excited. You're not playing for the wall hanging itself. You're playing for the cards inside it. This is one of those things that Target sold a few years ago. 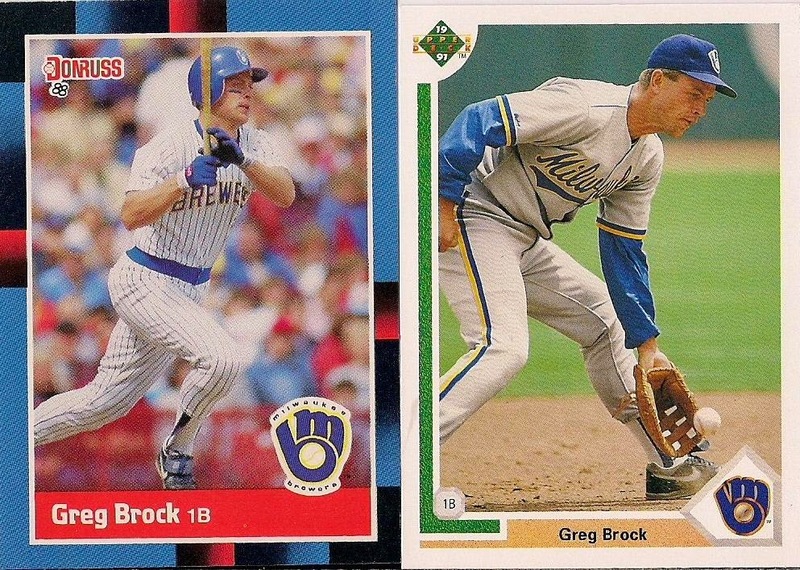 They packaged them with some Upper Deck cards. 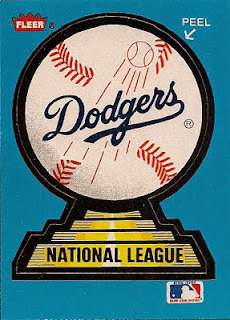 I got one for my birthday back then, basically because I saw some Dodger cards in there that I needed. But I decided to fill it up with some notable cards from my early blogging days. Each of these cards relates to either a card, or a set or a player that I focused on during the first couple years of this blog. This has been on my wall for almost four years. It's time for a change. I have four more years of blogging material since this went up. I need to fill it with new cards. 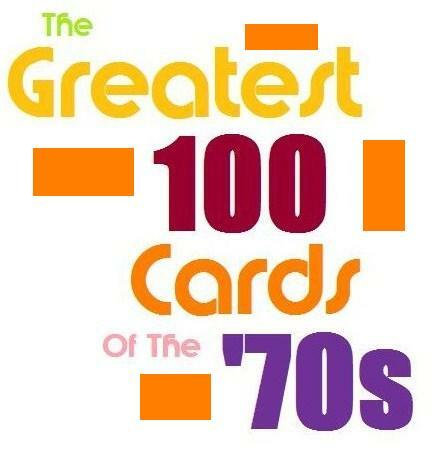 The above 16 cards are being given away in the contest (except the Stan Williams card, which I need for the night card binder -- I'll put a suitable 1972 Topps in its place for the contest winner). Most of these cards are in decent shape. The '72 Grant and the '76 Gamble are well-worn but I think most collections would be proud to have them. As always, all you need to do is leave a comment that says you're entering. And I'll randomize next week to select a winner. I'll link on the sidebar, too, so this post doesn't get lost. Will I have yet another contest after this one? Probably not. We'll see how disgusted I am with my work load and inability to get to the post office next week. 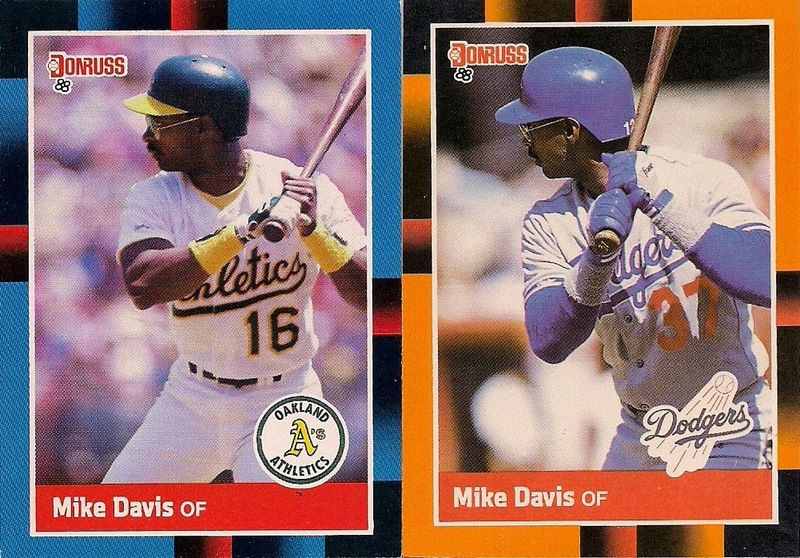 But too many of these contests and everyone is going to be playing for a handful of 1990 Donruss very soon. The year 1985 marked my last attempt to complete a set until 1989 came along. And by "attempt" I mean "buy the whole set at the start of the season and never look at it again." 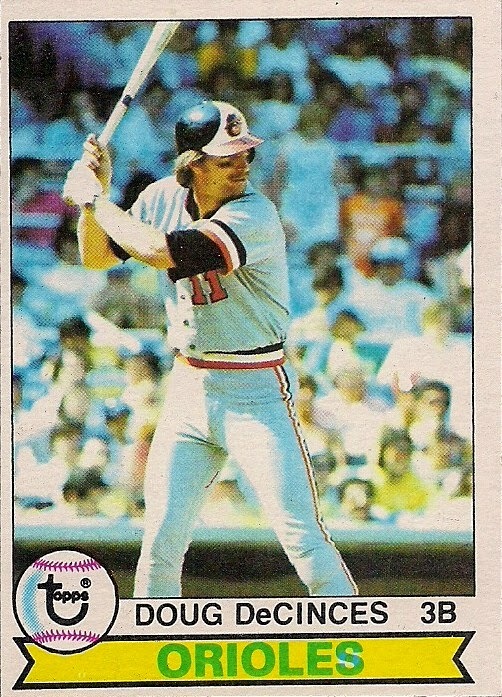 That's what I did with the 1985 Topps set, and that's why I have devoted a blog to the set. It's a way for me to get to know the cards that I ignored so many years ago. 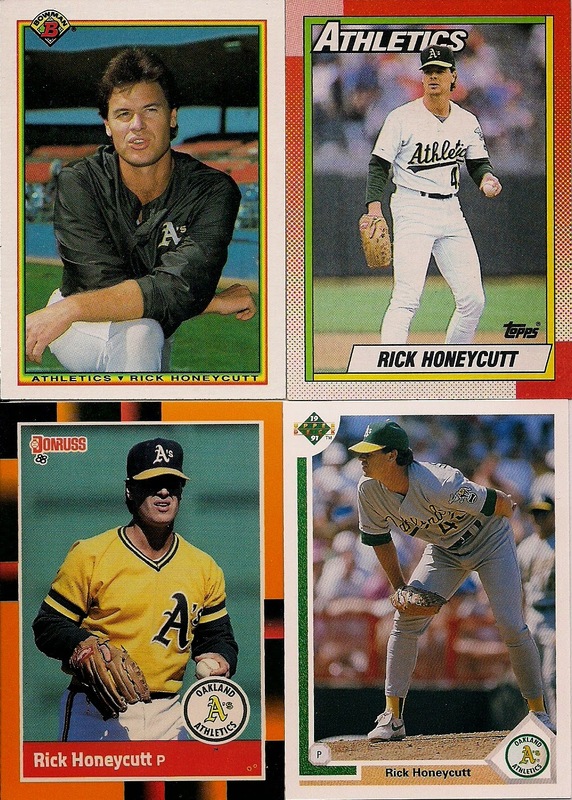 What I am learning is 1985 was a step back in time for Topps. After 1983 and 1984, collectors were led to believe that action was the wave of the future. 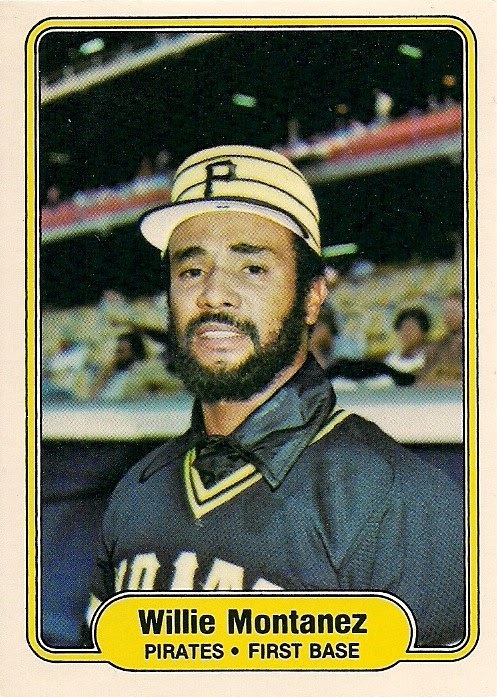 Virtually all of the large photos in the 1983 and 1984 Topps sets are action-oriented. 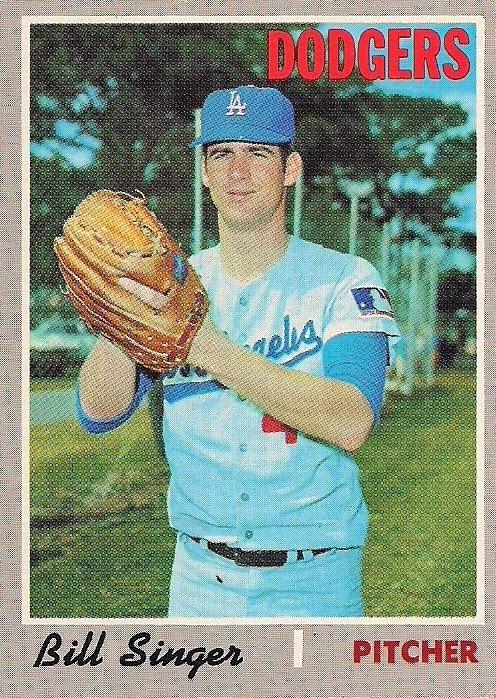 Some of the best-known cards in the 1985 Topps set -- Dwight Gooden, Eric Davis, Bret Saberhagen -- are photos that looked like they could have appeared in the 1966 Topps set. Standard head-and-shoulders shots. 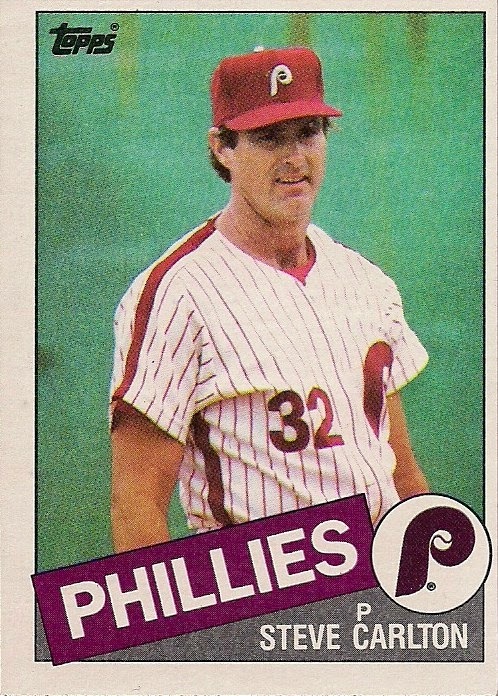 This is what passed for a card of Steve Carlton in the '85 set. Come on now. He had 3,872 strikeouts at that point! Get him in action! 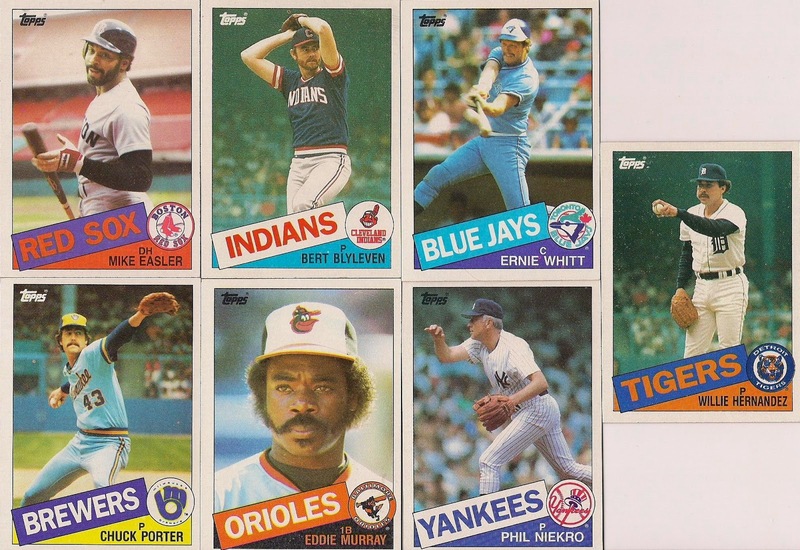 The quantity of "throwaway" photos in 1985 Topps was very evident as I was looking for the best card for each team in the set. (This is what we're doing in this post, by the way, if you haven't figured it out already). It's hard to remember someone like, say, Jerry Willard, if he's just a bust staring into the distance. 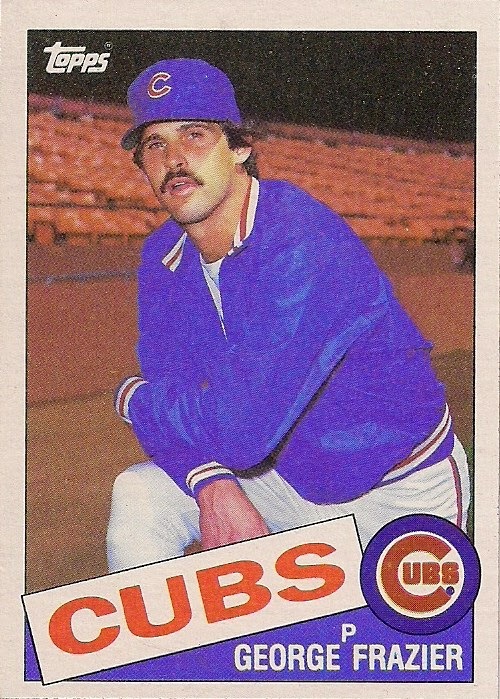 That said, some portrait-type shots are very memorable, including some in 1985 Topps, and they should never go away. As I've said many times, posed/portrait type shots give a card and a set character -- something that action shots can't do nearly as well. 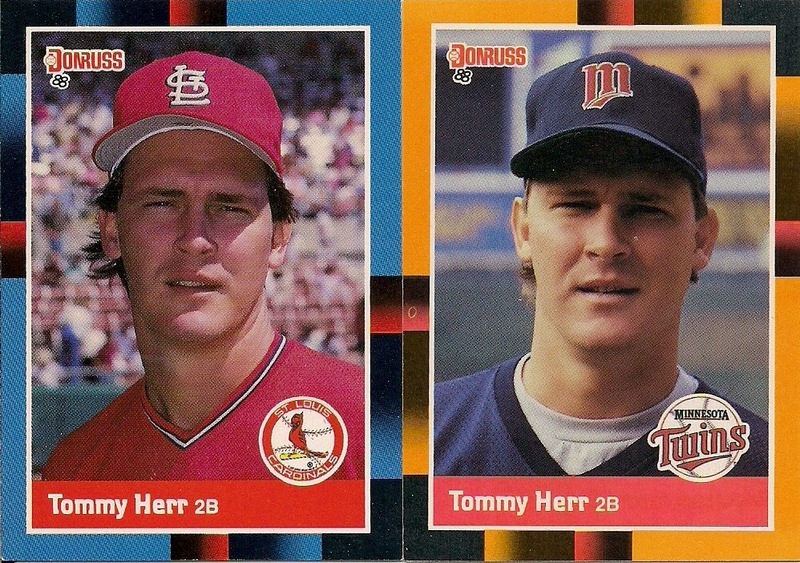 Anyway, what follows are what I determined to be the best cards for each team in the 1985 set. 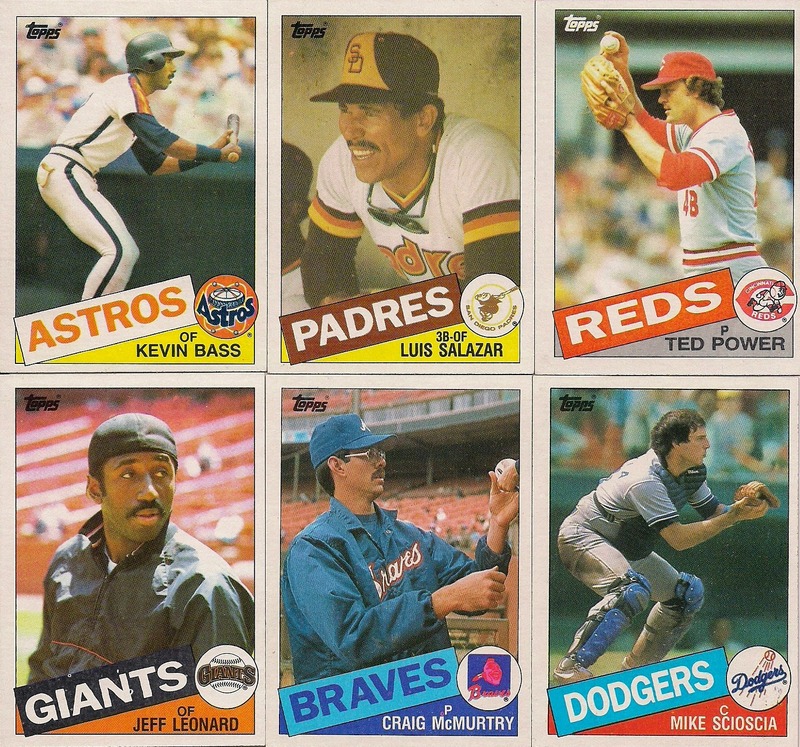 I hope I don't spoil any of the suspense on the 1985 Topps blog by showing these. Team with the best cards: Tigers. I imagine this has to do with the fact that they won the World Series the previous year. Lots of great cards -- Dave Rozema, Larry Parrish, Lou Whitaker, Kirk Gibson. I picked Hernandez because I'm a sucker for on-the-mound shots. Team with the worst cards: Red Sox. This team has dominated most of these posts, but I could find almost nothing of note with them. Team I should go back and review: Brewers. 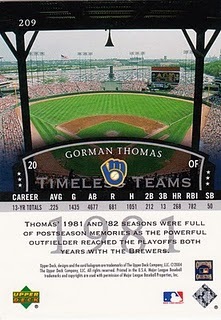 There were some pretty good Brewers cards but I fell in love with Porter's giant wind-up. 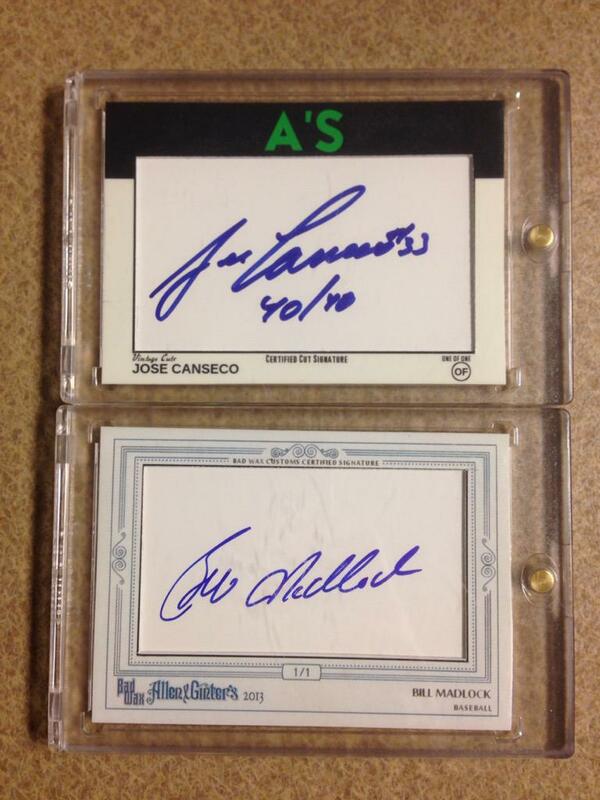 Team with the best cards: White Sox. Great stuff from Roy Smalley, Ron Kittle, Dan Spillner, Greg Luzinski. Stegman's bat act, though, is supreme. Team with the worst cards: Rangers. Outside of a couple, very mundane stuff. Team I should go back and review: Royals. I love smiling ballplayers. Maybe a little too much. Team with the best cards: Cardinals. 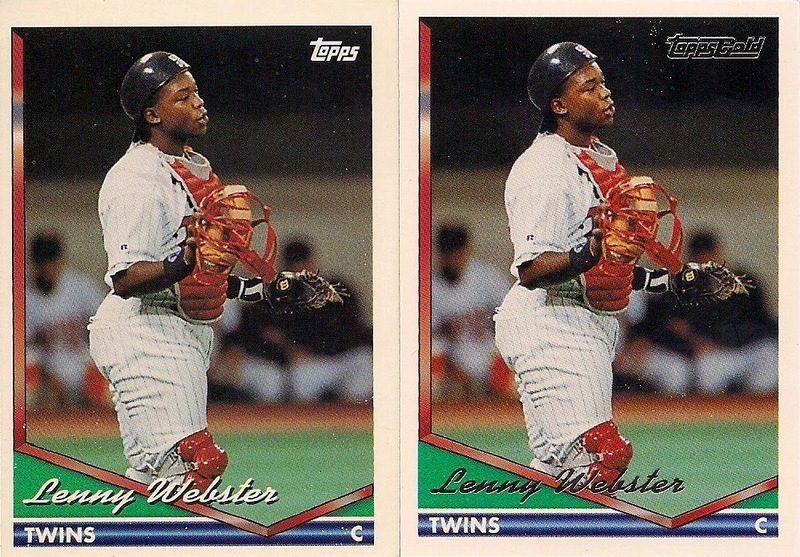 The Cardinals have the best cards in the entire set. Team with the worst cards: Phillies. I love tight batting cage shots, but there wasn't much else to go on. 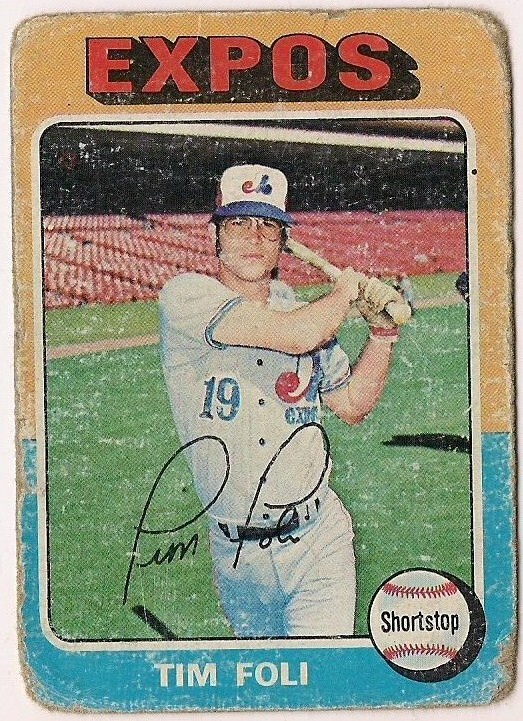 Team I should go back and review: Tie between Mets and Expos. I saw a very large guy choking up on a bat and a mustachioed man signing a baseball card. I saw nothing else after that. Team with the best cards: Reds. Cincinnati looks very good in this set. But I have an irrational appreciation for the Ted Power card. It is truly one of my most favorite cards of all-time. There is so much right about that card that I'm afraid if I explored how much I liked about it, you would be frightened by the time I was finished. Team with the worst cards: Giants. Blurry shots. Boring shots. I went with Joe Cool. Team I should go back and review: Padres. Nothing really stood out. I took the dugout shot and hoped it stuck. I'm in a far different place as far as collecting than I was in 1985. 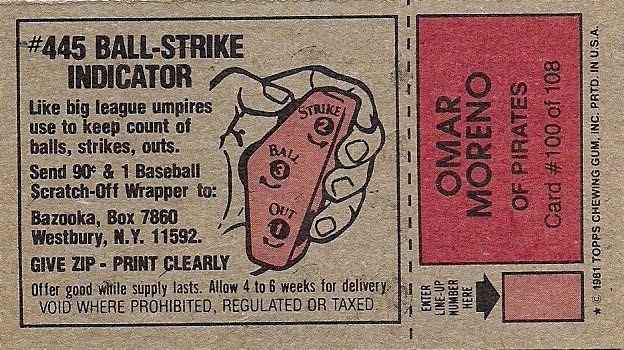 I would never buy a complete set in one batch these days. And I have 1985 Topps to thank for that. I saw what happens when I do that. I need to get to know my cards. Without having the numbers in front of me, I know for a fact that I have less time for you than I did when I first started this blog. 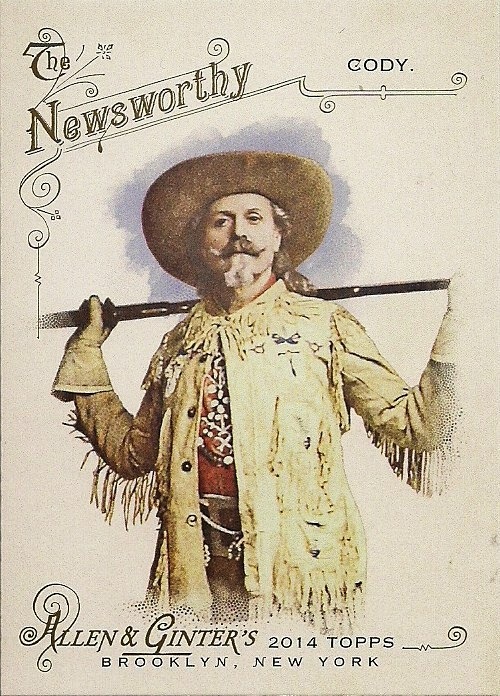 Back then there were -- I don't know -- maybe 150-200 sportscard blogs and I gave each one my undivided attention. I read all the stories, I played all the games, I entered all the contests, I even agonized when I couldn't participate in someone's group break. Today, there are a good deal number more blogs --- again, I don't have time to give you an exact number -- but that isn't even the reason why I don't pay attention to you as much as I once did. It's the vast conspiracy of life that's done it. I'm more occupied both in the job and at home. But even if I take everything at individual face value -- blog, job, home, family, other activities -- none of them seem as obviously more demanding of my time than they did more than five years ago. That's why it's a conspiracy. I don't know what's going on or why I have less time. I just know that I have fewer minutes to figure it out. That brings me to the yearlong giveaway put on by Tribe Cards last season. Because Dave was so generous, it took him a long time to send the cards out to everyone. And, if I may be so bold as to state the underlying reason for that, I would say that Dave, like me, is dealing with the conspiracy of life, too. The conspiracy was so large back at the beginning stages of Tribe Cards From Outer Space that I didn't even have time to select correctly when the game was starting. I was supposed to pick the players whose cards would go automatically to me. In my case, that would be Dodgers. But somehow, I missed the window for picking my players. Or I misread the directions. Whatever. Life saw to it that I'd be behind the entire bleeping contest that lasted the entire bleeping season. When I realized my lapse, I scrambled to recover and choose whatever Dodgers were left. 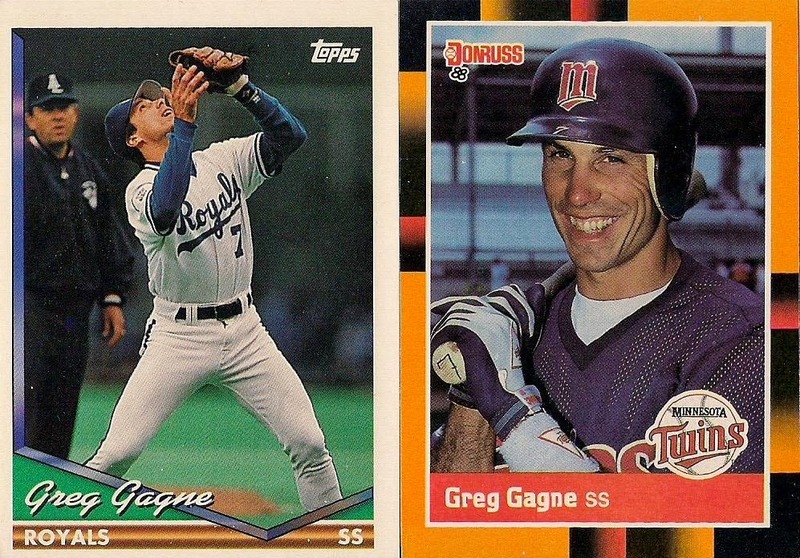 Gagne, Brock and Honeycutt all played for the Dodgers. 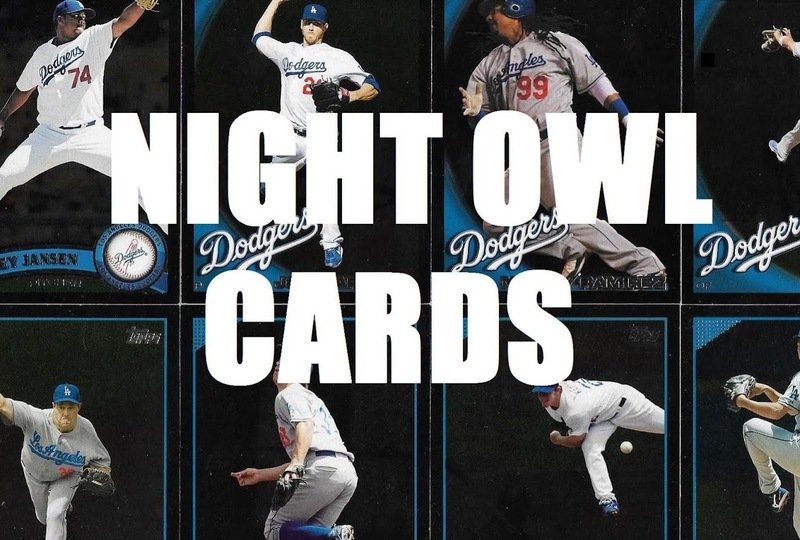 Each of them are featured on cards wearing Dodger uniforms. I know. I have many of them. But because I wasn't paying attention, I grasped for players who spent a lot of time on other teams, too. All of this means that I didn't end up with a single Dodger card from this contest that I didn't have already. Not one. I am a failure at free. 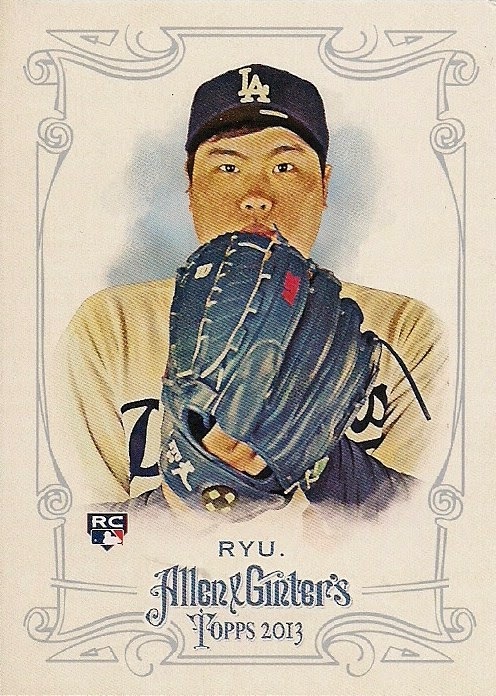 But since it was a free contest, I could focus on more pleasant things, like non-Dodger cards that I've never seen before that are now mine. 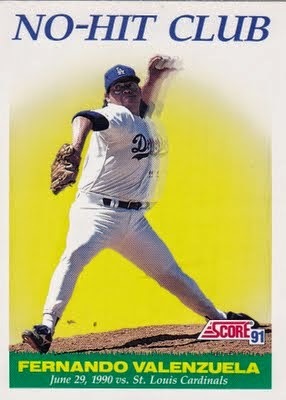 Fernando Valenzuela was one of the few Dodgers that I managed to claim before anyone else did. 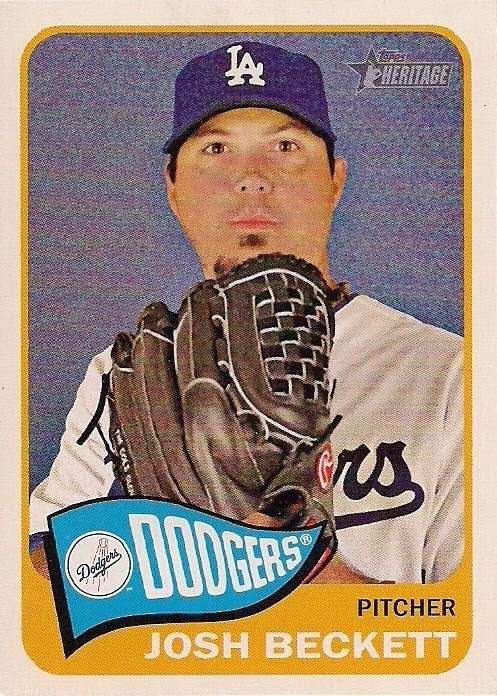 No, I didn't get a Dodger Valenzuela that I needed. 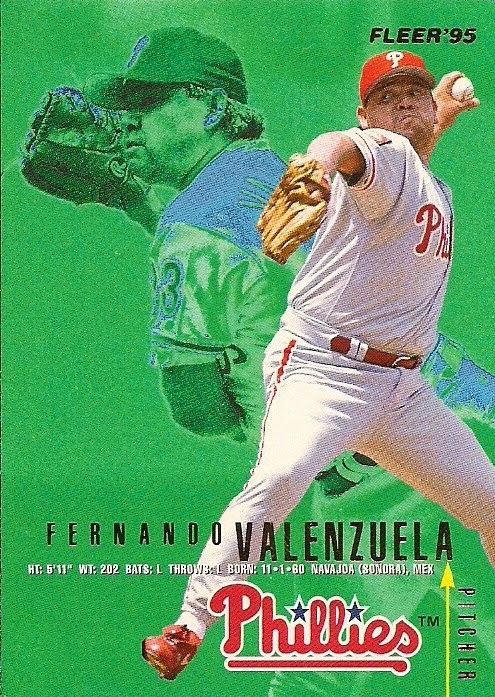 But I did get this fine '95 Fleer card of Phillie Valenzuela. 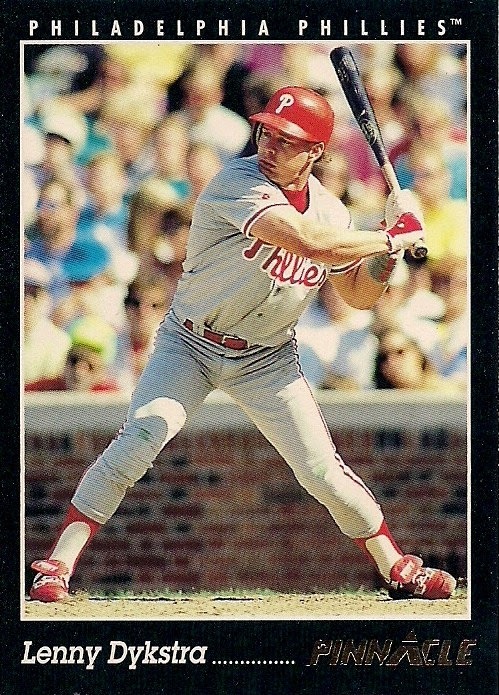 I suffer from an unnatural attraction to Phillies card in which green is a dominant design color (think 1988 Topps). Therefore, I think this card is estupendo. 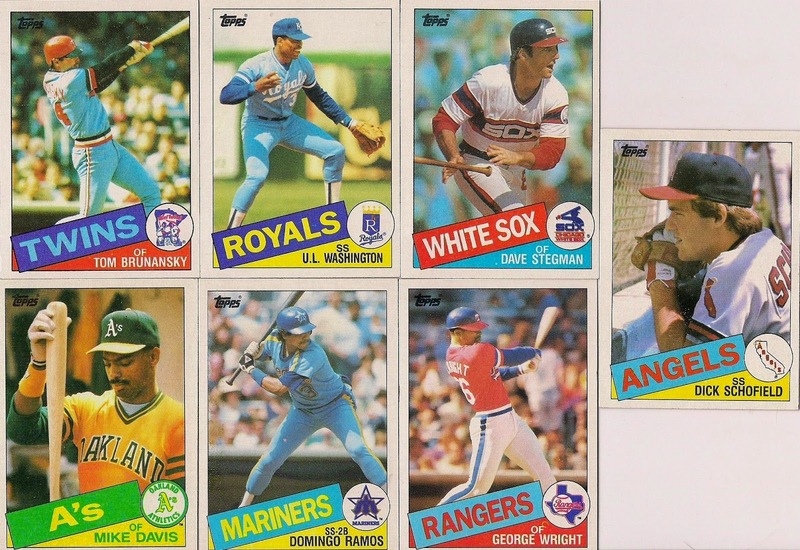 As the quest for a complete 1982 Topps set inches to the finish line and so does my attempt to complete all the Topps sets from my childhood collecting years, cards from early Donruss and Fleer issues hold greater importance. Both of these are needs. Time will tell whether either of them eventually fills a slot in a binder. The oldest card I landed in the Outer Space giveaway. Yeah, I have it already, but I'll be checking for upgrades. 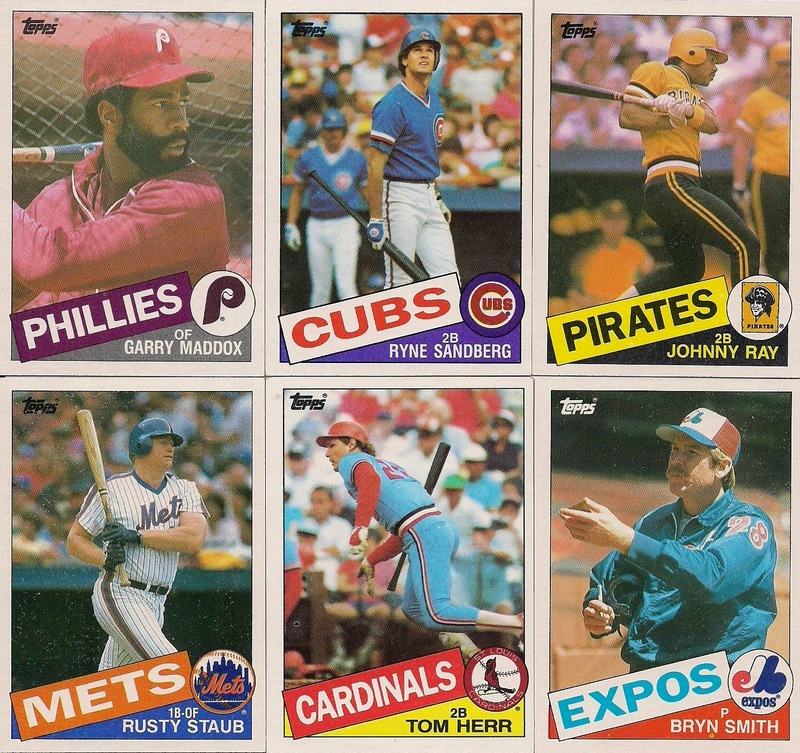 I'd also like to say that packs of 1979 Topps were the only cards I ever pulled out of an Easter basket. I would have jumped all over the chance to get my very own ball-strike indicator. I'd be bellowing strike calls at people driving past, the mailman, squirrels in the yard. I demand restitution for childhood memories lost! Probably the "rarest" card I ended up with in this giveaway. Of course, it's a Twin so no one cares. I'm also not sure why I ended up with so many Twins. I don't remember selecting a "second team." But since I wasn't paying attention maybe Dave just assigned them to me. I'm doing an awful lot of shoulder shrugging in this post. 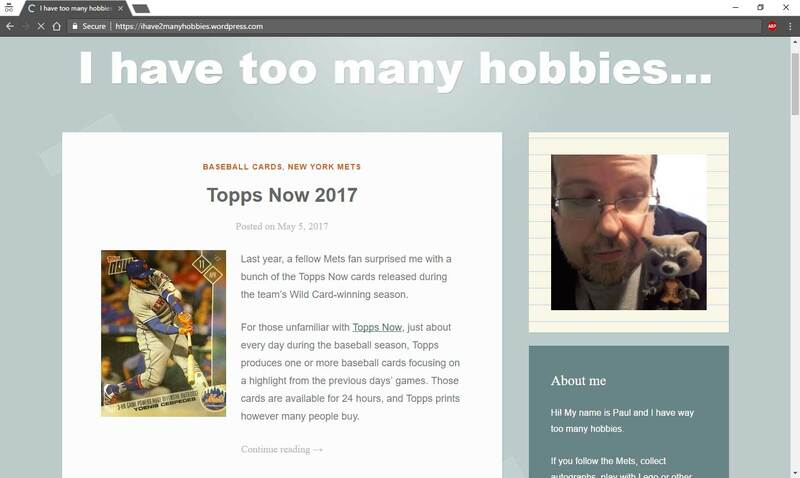 I never thought of Donruss Opening Day as being an update set to the main Donruss set, only because I didn't know Donruss Opening Day existed until I operated a blog. They're kind of nifty. 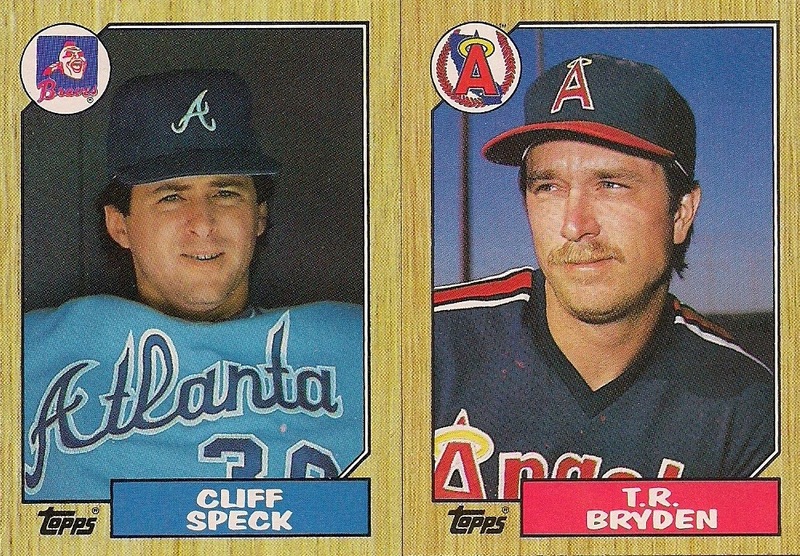 The beauty of never planning to complete the 1987 Topps set is discovering there are people named Cliff Speck and T.R. Bryden who played baseball. I plan to find out who they are ... when I have time. I sort of remember making an effort to claim this card. 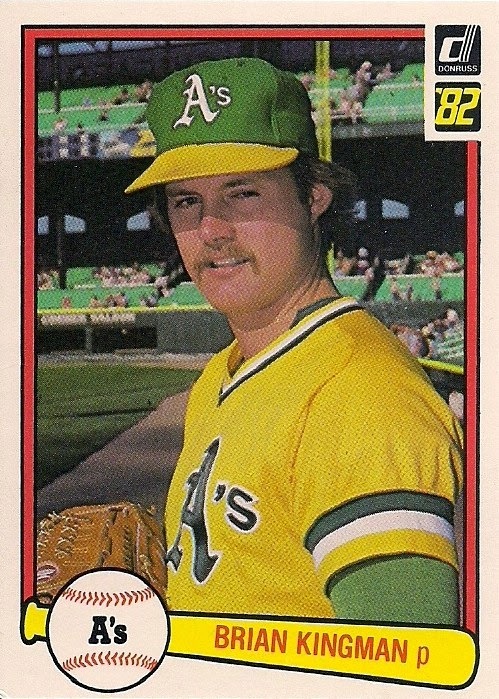 I didn't have any Drew Henson cards. 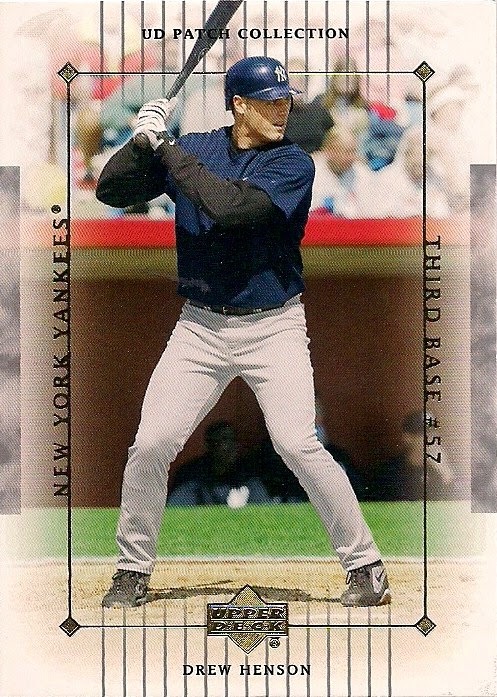 I feel it's my duty to obtain cards of failed Yankees. Again. I'm the envy of Twins fans. None of whom are reading this blog. Or if they are, they do it very quietly. 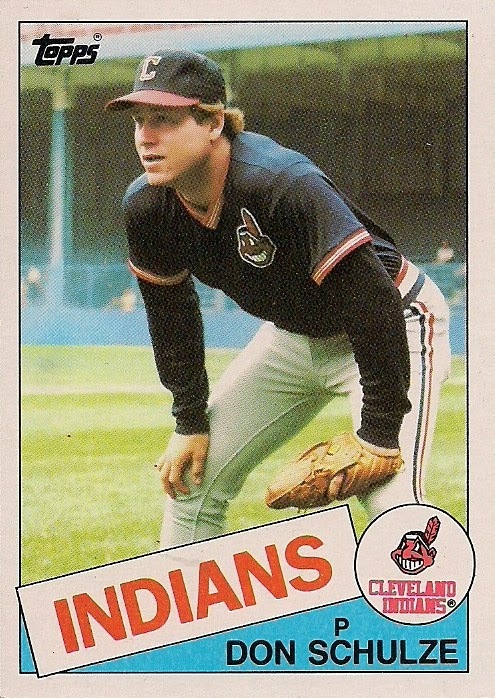 In a lot of ways, the Tribe Cards From Outer Space contest was a lot like going on a 24-hour drunken spree and waking up next to god knows what the next morning. 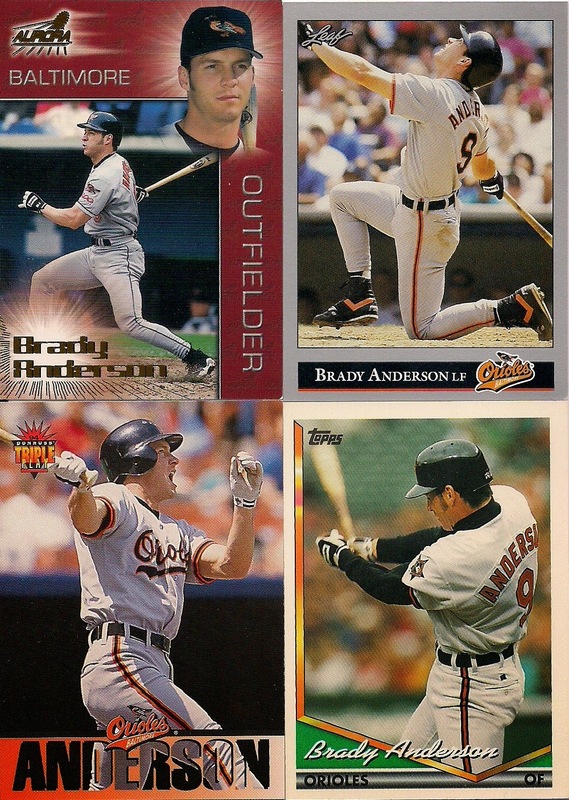 BRADY ANDERSON CARDS???? Damn, what was I on last night? Here are two more. 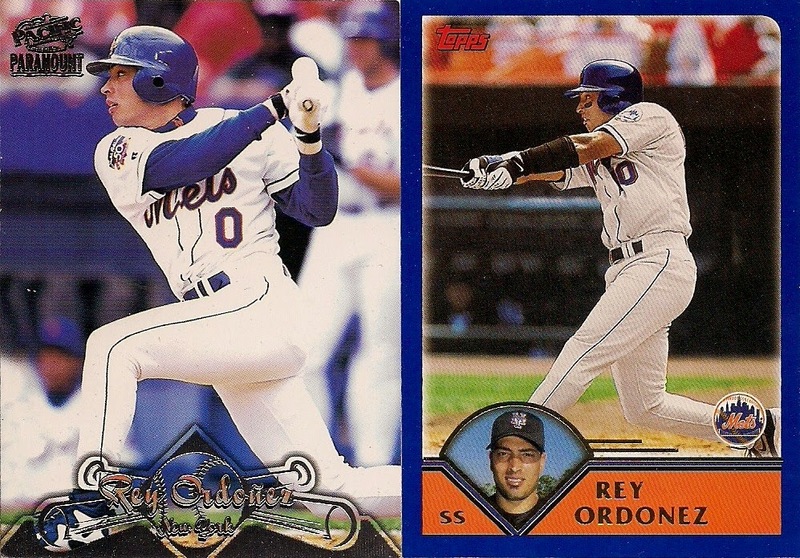 Rey Ordonez and Don Slaught. Apparently I requested ALL OF THE ORDONEZ AND SLAUGHT CARDS GOSH I LOVE THESE GUYS, MAAAAAN!!!!!!!!!!!! right after another swig of Absolut. I'm sure somebody could make a case that Lance Dickson and John Dopson are the same person. 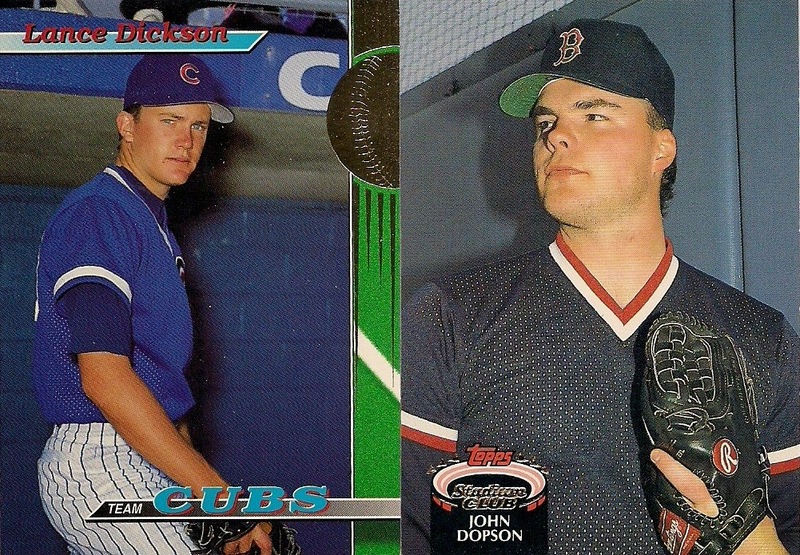 I will use as evidence the fact that I now appear to have all of the Lance Dickson and John Dopson cards that appeared in the Tribe Cards contest. 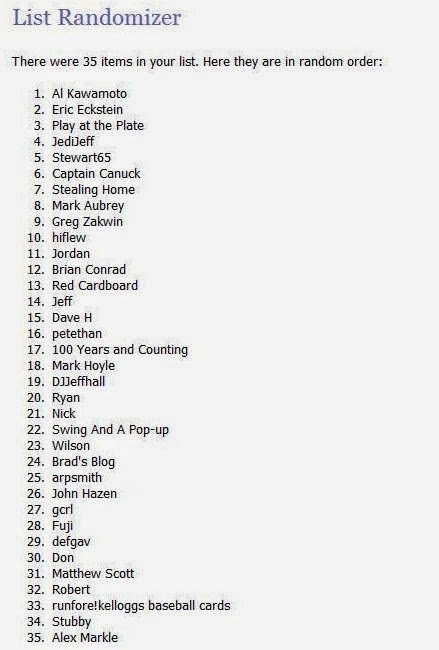 And it can't be possible that I requested both Lance Dickson and John Dopson. Can it? 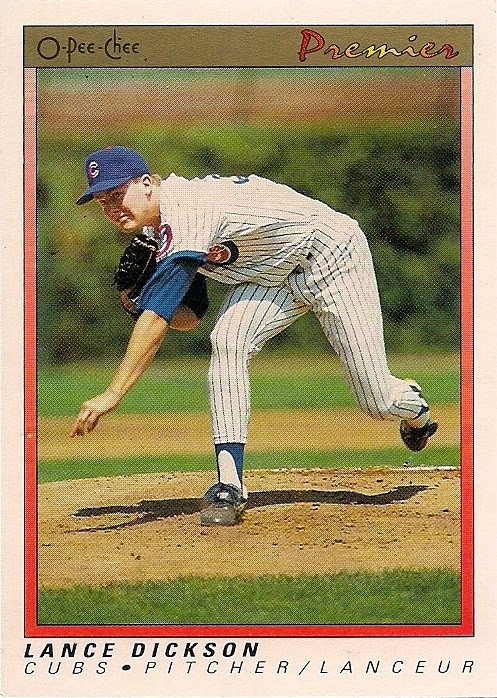 But as I look over some of the other players that consistently pop up in the stack I see such long-forgotten names like John Orton, Darren Holmes, Barry Lyons, Lee Guetterman and Charles Hudson. It really appears like I was knocking back a few when I made these picks. 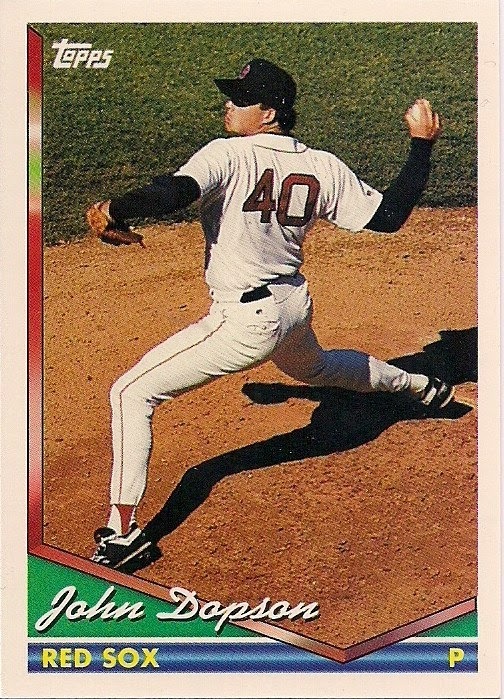 Without further disparaging the good name of Brady Anderson, wasn't there anyone notable that I selected for myself? OK, there were a few cards of "Nails". I can appreciate that. Jail sentence and all. 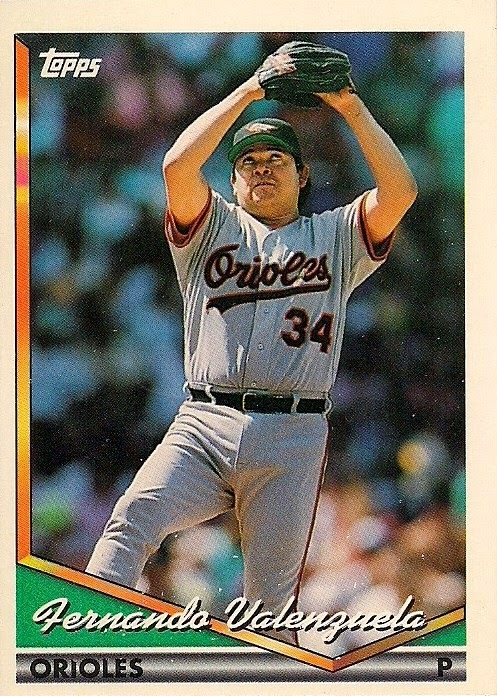 And, of course, Fernando Valenzuela. But I need to steer this back to the fact that this was a marvelous undertaking full of free cards concocted by Tribe Cards. I did also manage to snag the 2012 Card of the Year in the festivities. And there is another giveaway going on this season, too. This year, I prepared for it. 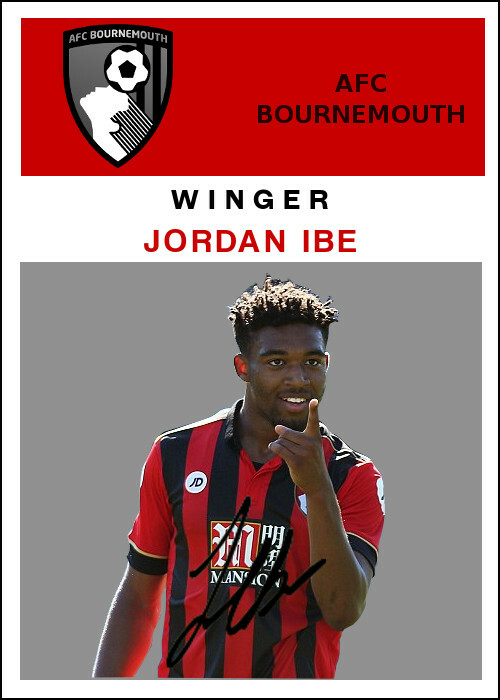 When the word went out to select your players, I made sure I was on time and selected some good ones. But, so far, I'm not doing too well. And the contest is attached to a fantasy baseball program this year. Surprise, surprise, I don't have any time to follow that. 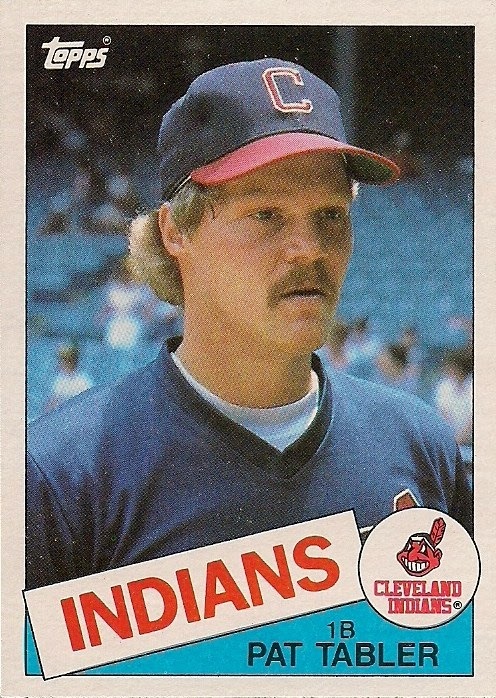 This probably means that next year at this time I'll be wondering why I have cards of Wally Ritchie and exactly what was I ingesting when I was reading the Tribe Cards blog? You can't beat free cards. Especially when you're not paying attention. 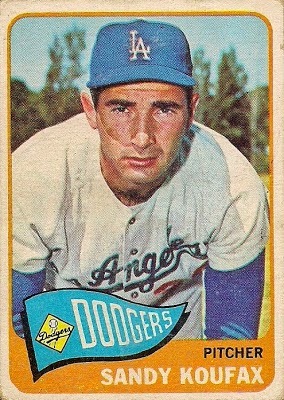 Sandy Koufax, 1965. I was 2 months old. Bill Singer, 1970. I was preparing to enter kindergarten. 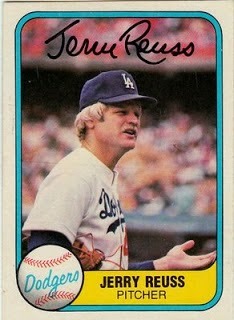 Jerry Reuss, 1980. I was 14. Delivering newspapers. 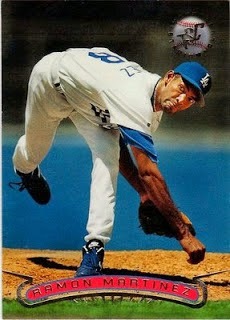 Fernando Valenzuela, 1990. I was 24. Heard it on the radio on rare Friday off from work. Kevin Gross, 1992. Age 27. I was toiling away at work. I have very little memory of it. Ramon Martinez, 1995. Thrown two days before my 30th birthday. I consider it a birthday present. 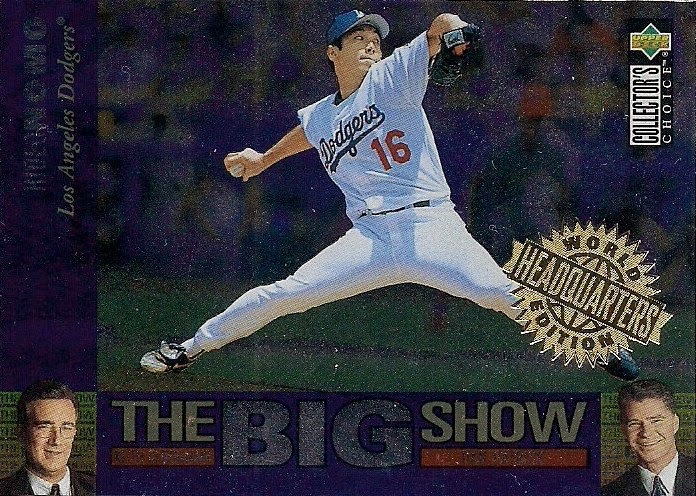 Hideo Nomo, 1996. 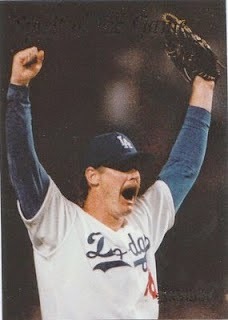 Thrown at Coors Field, still one of the most impressive no-hitters in Dodger history in my mind. I was 31. Hell, it's like I'm a kid again. This week has pretty much taken every ounce of writing strength I have, but I promised something, so here I am. I held a contest to celebrate my 400th follower. 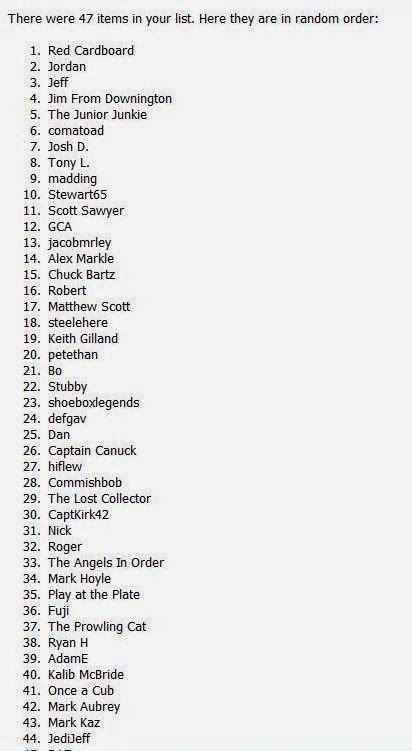 I randomized all the entrants and then -- all sneaky like -- I didn't announce a winner. Instead, I merely sent the winner the victory package with a letter that said: YOU ARE THE WINNER! And because things are so hectic, it took me awhile to get the package out. So that means a bunch of folks were waiting around for like a month, staring at the mailbox every day, to see if they would get the golden ticket. Well, I'm here to say that unless you like the Reds and you run a blog called Red Cardboard, you did not win. He did. And, like I promised, once the winner revealed their winning package on their blog, I would recognize the winner here. Congrats to Matt. He's the 400-follower winner. There you go. Another contest come and gone that you didn't win. But don't worry, I have these cards for you. They've just been lying around. Maybe someone wants them. Maybe nobody wants them. But, what the hell, let's have another contest. All you have to do is comment that you're in. Then I'll randomize -- but this time I'll announce the winner on this blog before sending out the cards. 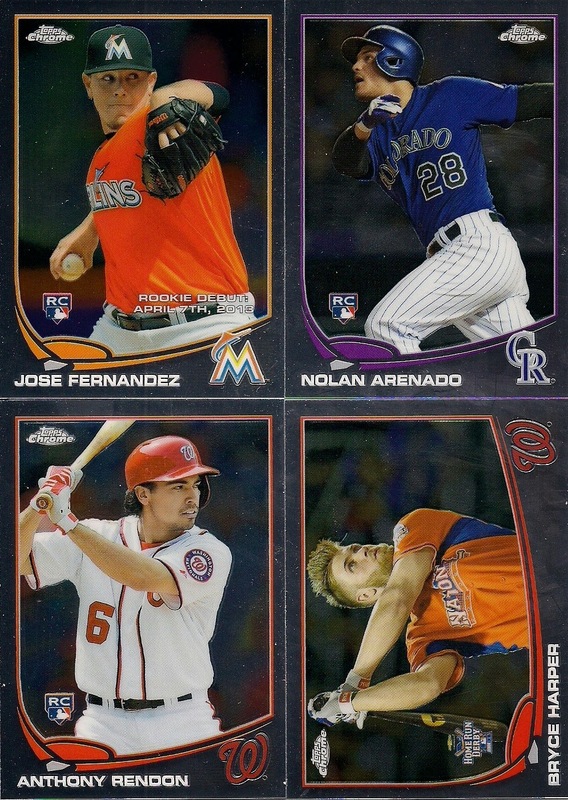 Four of those Chrome Mega-Box cards from last year. If you win, I'll probably throw in a couple more. 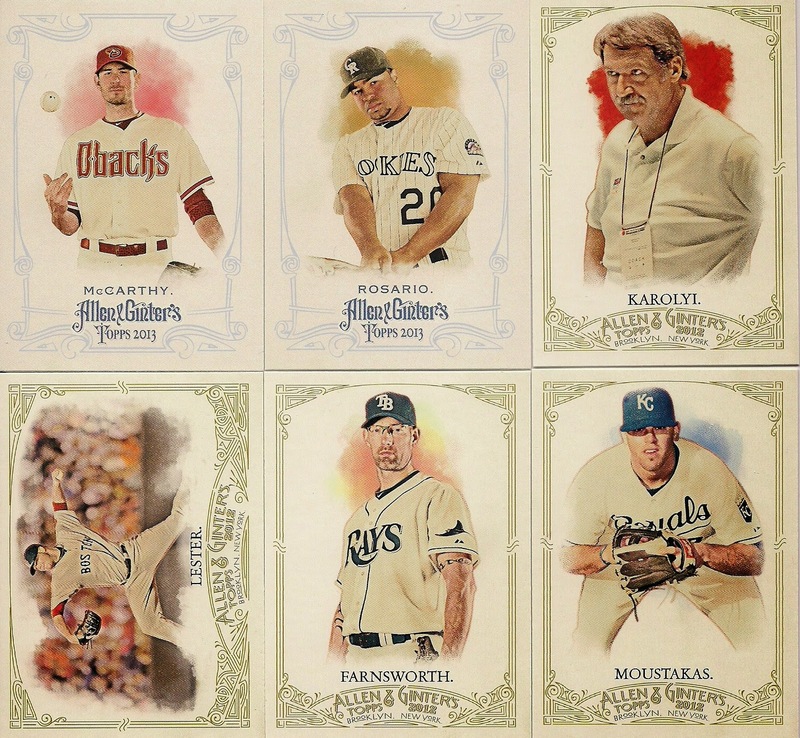 Six Allen & Ginter short-prints from 2012 and 2013. I think I might have a couple more around. I'll add those, too. 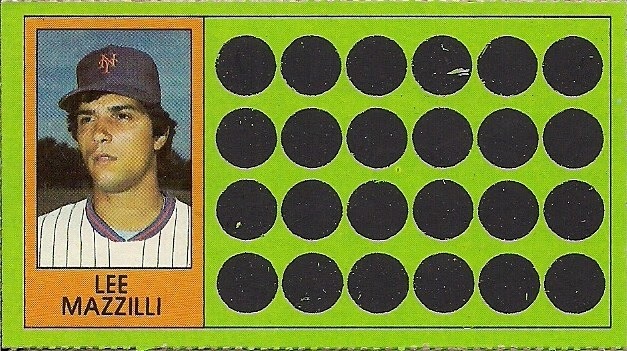 A 1981 Topps Scratch-Off card of Lee Mazzilli. Lee's been separated from his buddies, but this way it appeals to the Mets fan. 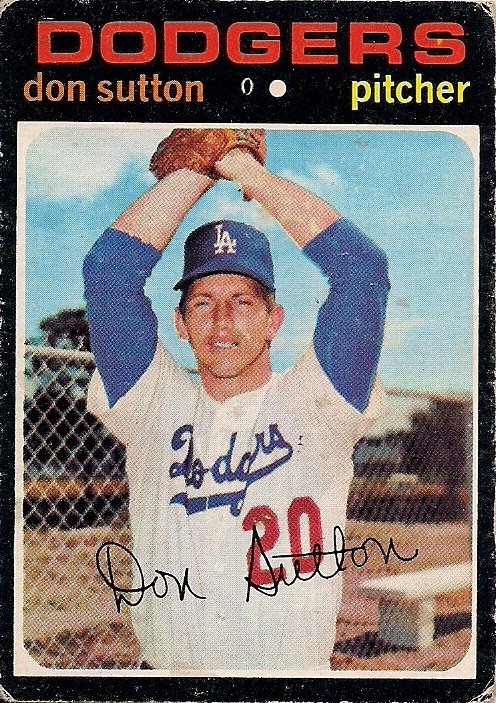 A 1971 Topps card of Don Sutton. As a Dodger fan, I guess I should be hoarding these, but really why do I need more than three? So this one -- in OKish shape -- should find another home. Dwight's a little battered, but actually they all look fairly good. I'll even throw a couple more minis at you. I've got a few more around here. 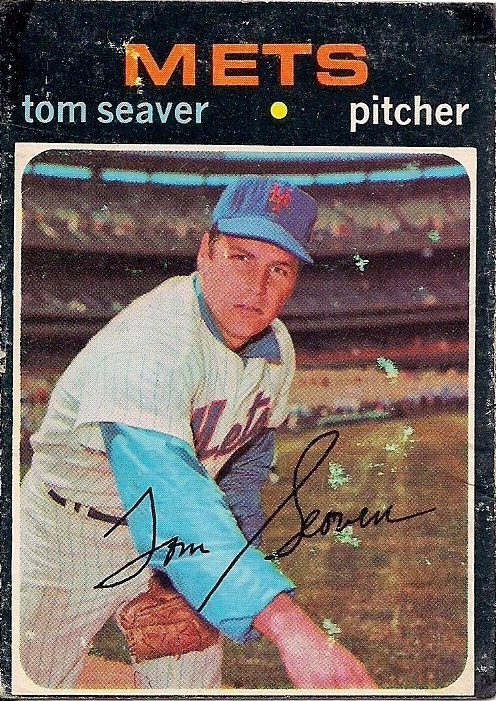 A 1971 Topps Tom Seaver. This card is all kinds of blotchy as you can see. 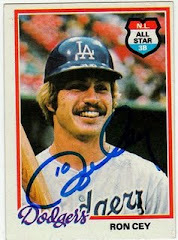 But I picked it up very cheap and a '71 Seaver, no matter what it looks like, should be treasured. If I had some more time, I'd show a few other things, but I don't. So instead all I can promise is I'll throw a few more cards at you if you win. Why am I doing this after I just held a contest? Well, today I tried to mail off some overdue packages. In the 5-minute window of time that I had, I reached the post office door and there was a bright, cheery sign on it that said, "Be Right Back!" I looked at the guy standing outside the door who was balancing six packages impatiently. I said to him, "That ain't good." He said, "No it's not." And with no time left, I headed out the door without mailing a single package. So I'm offering this contest. Leave your comment if interested. I'll leave this post here all weekend so there will be plenty of time to enter. I'll randomize at some point next week. Meanwhile, I'll see if the post office is actually operating tomorrow. It's kind of pointless to hold a contest if I can't mail anybody the cards. 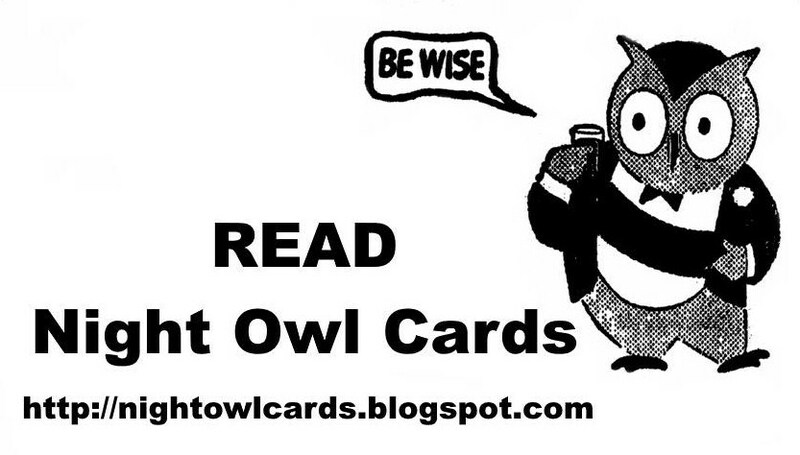 Were cards that lousy 7 years ago?